Looking for some of the best vegan burger patties brands to try out from the grocery store? Here are 10 widely available options that you’re going to love. In fact, these vegan burger patties are so good that you won’t miss the real thing. They say to save the best for last, but we couldn’t wait that long. 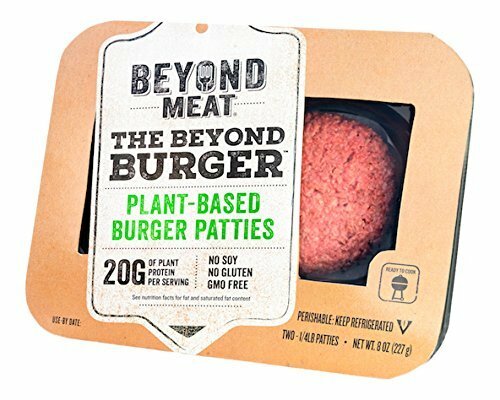 Beyond Meat’s Beyond Burger is a revolutionary vegan burger that looks and tastes like the real thing using pea protein and beet juice for color. Even meat eaters get fooled by it. The company is dedicated to growing the plant-based food market with delicious soy, gluten and GMO-free faux meats that are 100% cruelty-free and generate a fraction of the environmental impact of beef. They also serve up unbelievably convincing vegan sausages in innovative algae-based casings. The Beyond Burger is widely available in Whole Foods, Target, Publix, H.E.B. and even some big chain restaurants like TGI Friday’s. Check the company website for a full list of locations. These days, you can hardly walk into the faux meat aisle of any grocery store without running into Field Roast. 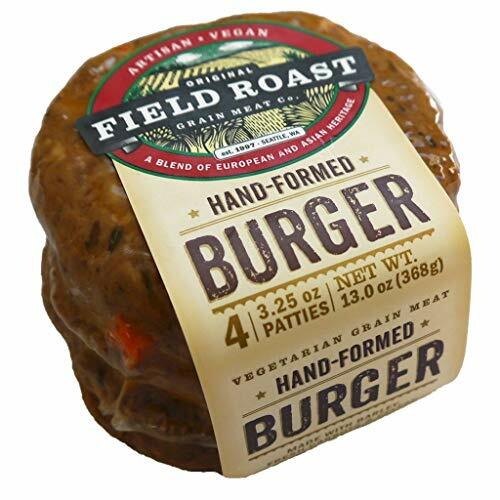 You may be familiar with Field Roast’s popular vegan sausages, but arguably lesser known is its artisan FieldBurger, hand-formed from vital wheat gluten, veggies and grains. It’s a nice change-up from the homogeneous, cylindrical patty shape popular in so many veggie burger brands, making it feel more authentic. And it’s got that luscious, chewy texture and juiciness we know and love seitan for. Check the refrigerated section of your local natural food store, supermarket or Walmart for Field Roast FieldBurgers. Amy’s is like a grandmother brand to all the younger veggie burger brands that have sprung up in the grocer stores over the last decade or so. Amy’s veggie burgers are grocery store staples for good reason: they’re darn delicious, vegan comfort food. Balanced in flavor and texture, Amy’s veggie burgers combine traditional ingredients like textured soy protein, organic bulgur wheat, mushrooms and walnuts with texture and flavor enhancing vital wheat gluten, stoneground mustard and hickory smoke. Amy’s California, Black Bean and Quarter Pound vegan burgers are usually found in the frozen section of the grocery store, but you can also order them online at Amazon. The veggie burger ingredients vary, but they all incorporate a nutrition-dense blend of fava bean, maca, lucuma and mesquite powders. If you need a good cookout burger, we recommend the Extreme Griller. Just be careful not to overcook it or it’ll dry out. Throw it on the grill along with a burger bun, add a little seasoning and a slice of Chao vegan cheese and you’ve got yourself the makings of a real all-American *vegan* burger experience. Find Sol Cuisine veggie burgers in major Canadian and U.S. supermarkets like Whole Foods. Gardein has exploded in popularity in the last few years, and you’ll see why if you try any of the vegan brand’s fake meats. Seriously, any of them. They’re all juicy and tender with a pretty near “real” flavor, but maybe better. The Ultimate Beefless Burger has been said to be the best by its many die-hard fans. Formulated to have a very convincing, meaty texture with a soy and vital wheat gluten base, there aren’t too many like it in the grocery store, hence its increasing popularity. 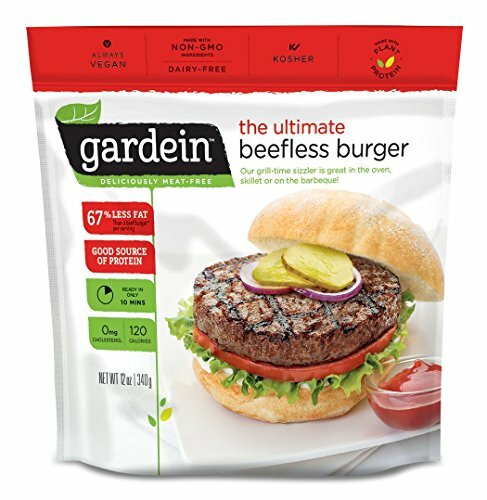 Gardein lovers have two other veggie burger styles to choose from: Garden Veggie and the Black Bean, both gluten-free (and two of the few gluten-free products Gardein makes). This incredible veggie burger brand will be in the frozen aisle at Walmart or any big chain grocery store. Not all of Sweet Earth’s products are vegan, but its veggie burgers are. The California company is working toward spreading sustainability throughout the food community, partnering with neighboring Far West Fungi and Bay Area La Piedad Tortillas. Sweet Earth’s plant-based burgers are made of vital wheat gluten, quinoa, nutritional yeast and robust veggies and seasonings like sweet potato and cilantro. Conveniently, they come fresh and frozen in three kinds: Teriyaki, Mediterranean and Santa Fe. The Teriyaki Veggie Burger seems to get some pretty stellar reviews. 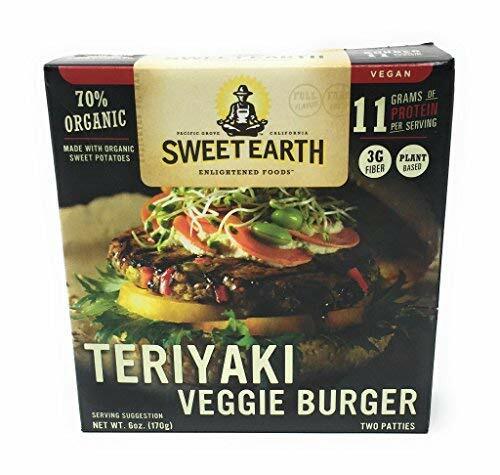 Walmart, Target and big name supermarkets all carry Sweet Earth veggie burgers. This brand makes the type of veggie burgers that are kind of like smashed vegetables, which many people love, and they are so very tasty. Just like its name suggests, the family-owned company was founded by medical practitioners in the early 90s on a mission to provide the world with healthy frozen food choices. The legacy lives on in natural food stores and supermarkets all over. 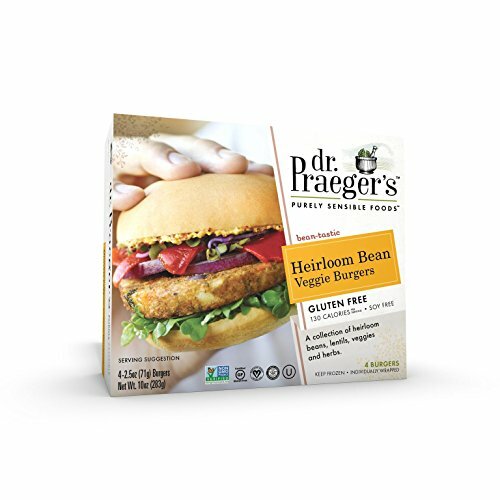 Gluten-free vegans have their pick of quite a number of Dr. Praeger’s impressive range of veggie burgers like the Super Greens, Korean and Mushroom Risotto Veggie Burgers. 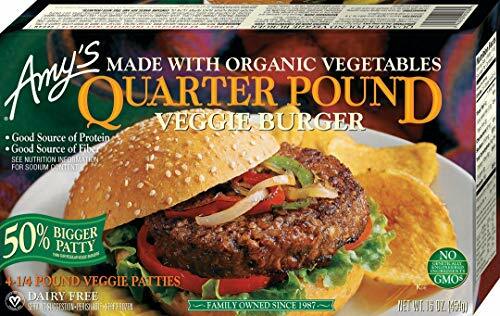 Both big and little food stores commonly offer Dr. Praeger’s veggie burgers, usually in the frozen foods section. Sunshine Burgers uses whole food and organic ingredients to make their all-vegan veggie burgers. Compared to a lot of other veggie burgers, these have surprisingly few ingredients. Take the Quarter Pound Original: organic brown rice, sunflower seeds, carrots, spices and sea salt. That’s it. For whole food vegans watching the excess ingredients in their diets, these veggie burgers are a delight. 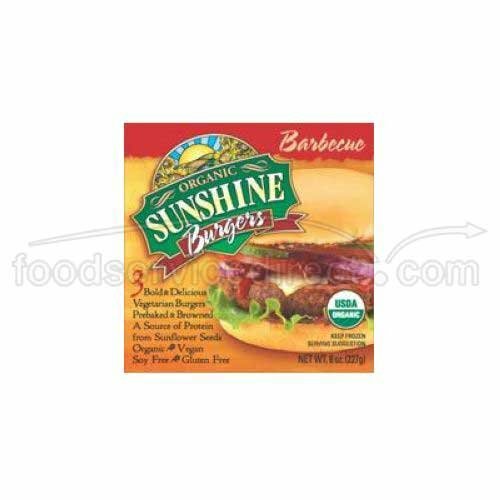 Sunshine Burgers recommends looking in the frozen section of the health food store for its products. Purveyor of fine vegan meats, Grand Rapids, M.I.’s Nutcase Vegan Meats sells an Artisan Vegan Nutty Burger the company promises will blow your mind. It’s made with a specialty nut blend, beet powder and seasonings to deliver the right “meaty” look and mouthfeel, and beefy it indeed looks. It’s also soy, gluten and GMO-free. Buy the Vegan Nutty Burger on the Nutcase Vegan Meats web store or at Vegan Essentials. Once upon a time, Hot Dang’s veggie burgers were sadly not all vegan, but it seems like they got the memo because now they are (according to Hot Dang’s website**). 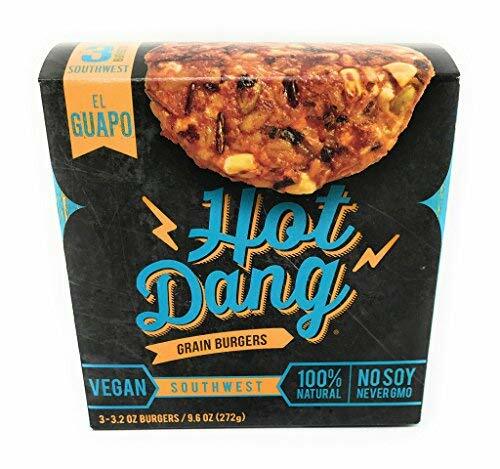 Hot Dang is an up-and-coming veggie burger brand that operates out of Buda, T.X. It offers grain burgers made with healthy, whole food ingredients like cannellini beans, barley and wild rice. Right now, you can get your hands on Original, BBQ, Southwest and Italian Hot Dang grain burgers at Whole Foods. **Make sure to check the ingredients on a package of Hot Dang grain burgers in case it’s from a previous batch of unvegan veggie burgers (though the Original should be safe no matter what).